Good luck trying to put this one together. I say that in good fun. 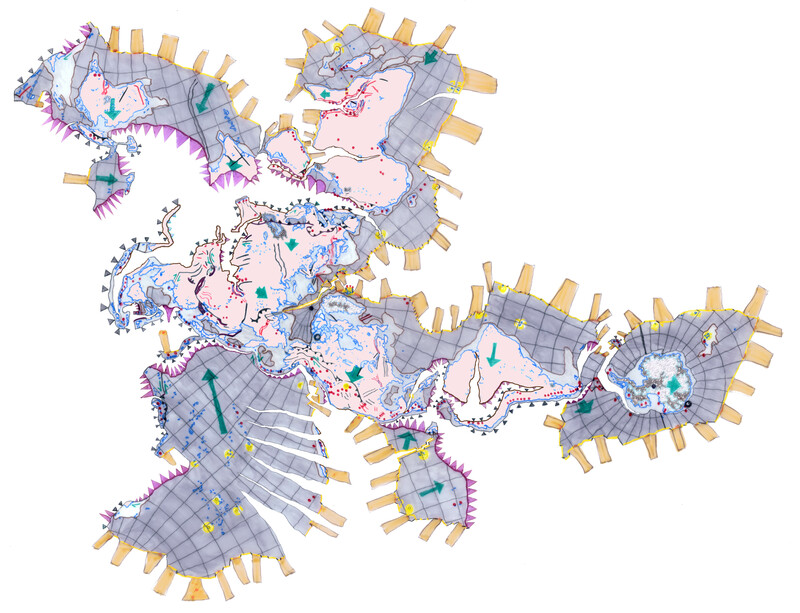 I actually enjoyed the challenge and possibilities of assembling this map, which uses as the map boundary the entire set of earth’s active tectonic lines (minus a few prunings of the topological tree). And I’ve only done one, and used too much tape, which limits the folded globe’s responsiveness to touch. But, like I say, the possibilities are enchanting. 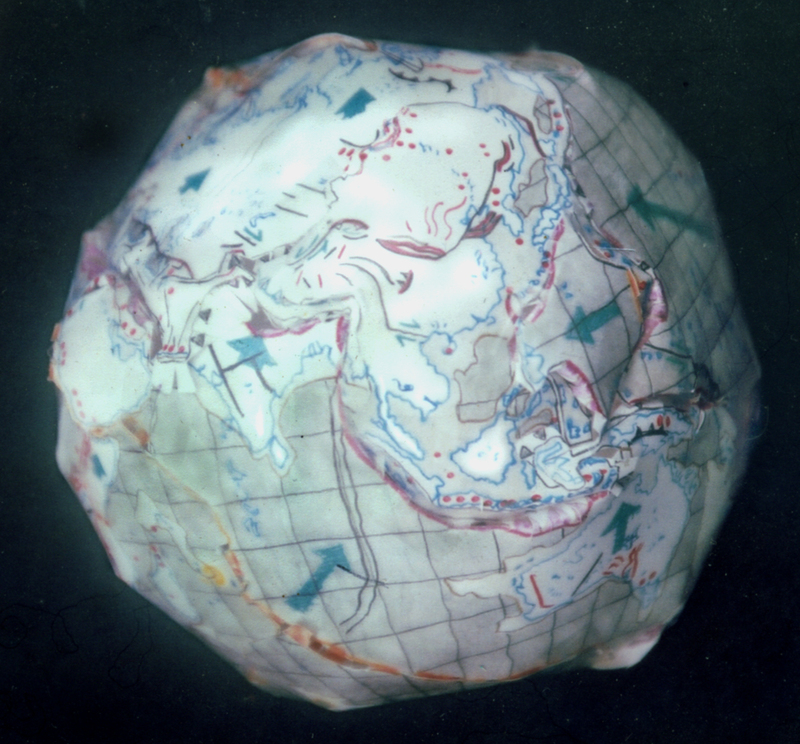 and, just for reference, here is Paul Lowman’s Global Tectonic Activity Map. I’ll post an annotated version soon, showing the boundaries used to make the constant-scale natural boundary map. If I understood correctly, once assembled it is possible to see how the plates actually move? That’s really one of a kind. Interesting enough to think of cutting and give it a try. It is far from perfect. As I say in the post, the POSSIBILITIES are enchanting. First time I assembled it, I used too much tape to make all the plate boundaries responsive to touch. But, having done that, I see that with enough car in the design, the interlapping (think weaving your fingers together) of the assembly joints, a globe is achievable with far more accurate mimickry than the first attempt at assembly of this map. Don’t forget the picture shows the ONLY time this map has ever ben assembled by ANYONE! So give it a shot. Let us know how it goes . . .